As of 2015, almost 200,000 people in the United States, alone, worked as data entry operators, earning an average hourly wage of $14.81! Obviously, data entry is a popular online job, but it can also be difficult finding legitimate data entry jobs in the sea of scams on the internet. There is a definite need for data entry, as more companies digitize their businesses. But, what is it, exactly? What do data entry operators do? Data entry operators enter information into some type of electronic format, usually in the form of a spreadsheet, document, or PDF file. They may also verify information, transcribe or translate pieces of information, and more. If so, let’s learn more about data entry jobs. What Skills Are Needed for Online Data Entry Jobs? Fortunately, data entry is one of those things that you can become skilled at with some practice. You don’t necessarily need a lot of skills to become a data entry operator, nor do you need a college education. Fast typing skills. Most data entry jobs require a typing speed of 50 words per minute (WPM) or more, mistake-free. Good attention to detail. Data entry jobs rely on you accurately entering information. Small mistakes can have significant consequences. Research skills. Some data entry jobs require you to be able to find specific information on the internet to be entered into documents or spreadsheets. Familiarity with Microsoft Office tools. MS Word and Excel, especially, are used frequently in data entry tasks. Organization and multi-tasking abilities. You’ll need to keep your projects extremely organized, and, if you’re completing multiple projects at once, separated. Overall basic computer knowledge. You must know the basics of using a computer, where to find things, and how to use the internet. Additionally, you should have a dedicated phone line, should you decide to turn data entry into a full-time business from home. This will open up your ability to communicate with clients, if needed, and conduct data research for your projects. You’ll also need a reliable computer, preferably one built within the last couple of years, and a high-speed internet connection. Note that some of these websites may not always be looking for data entry operators, but they’re known for their data entry jobs. So, if they don’t currently have openings, keep checking back. Amazon Mechanical Turk (review) – Amazon Mechanical Turk has what it calls “HITs”, or Human Intelligence Tasks. 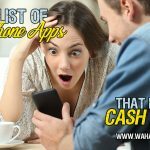 These HITs are basically small, quick jobs that can earn you anywhere from a few cents to a few dollars per task. 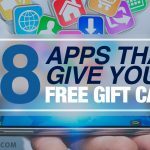 Most often, you’ll be doing things like researching contact e-mail addresses on websites, or finding and entering specific information from photos of receipts. 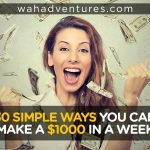 Most tasks don’t pay much, but once you gain some practice, you can get a good momentum going for completing tasks and getting paid. You can transfer your earnings to your Amazon Payments account to transfer to your bank, or to an Amazon gift card. Axion Data Entry Services (review)– Axion allows you to register to be contacted when openings for data entry operators are available with its new clients. The company only hires independent contractors and requires a background check before you’re accepted. Small tasks range from 4-8 cents each, while more complex tasks can range from $5 to $9 per document. Axion pays via PayPal, every two weeks when you invoice them. Capital Typing – Capital Typing offers data entry services, in addition to several other services, to its clients. You can contact the company via the contact form on its website to inquire about its openings for data entry operators. Clickworker (review) – Clickworker has several types of data entry jobs available, such as data categorization, data tagging, and web research. You can work on your own time, choosing from the available pool of tasks. On average, most Clickworkers make about $9 per hour, but this depends on hours worked and the complexity of chosen tasks. Your earnings are available after 7 days, and you can transfer your earnings to your bank account or PayPal. DionData Solutions (review)– DionData Solutions seeks out independent contractors to provide data entry services to its clients. You’ll be working part time, and may be managing a few projects at one time. Once you submit your application, you must wait at least 90 days before submitting another one. The company will contact you if it feels you’re a good fit. Fiverr (review) – Fiverr allows you to create your own gigs. So, if data entry is what you’re looking to do, you can create a gig that outlines the types of services you can provide to others. You can start your services at $5, and create add-on packages for buyers to purchase a custom package to meet their needs. Freelancer (review) – Freelancer is a bidding site for freelance jobs. You can find plenty of open data entry jobs from clients who need your help. Clients will propose a fixed or hourly rate, and you can create a bid accordingly. Great American Opportunities – Great American Opportunities focuses on selling fundraisers. It focuses much of its hiring on its sales team, but also hires independent contractors for seasonal data entry work. For this opportunity, you’ll be mostly transferring information from magazine order forms into a digital database. You’ll be paid per form, depending on the type of form. The company pays weekly via direct deposit to your bank account. Guru – Guru is another freelance job bidding website that has a separate category for data entry jobs. Sign up for Guru, complete your profile, and you can start searching for data entry jobs that meet your interests, experience, and desired rate. Indeed – Indeed is one of the best job board websites for finding companies that have online job opportunities. Use the “What” box to search “data entry”, and the “Where” box to search “remote” or “home based”. This will provide you with online data entry job listings in a variety of different fields. You can even use the Experience Level filter, on the left side of the screen, to narrow down your results, based on your experience. JobBoy.com – JobBoy is a microtask job board website where you can browse, or add your own, small task for free. Some of the tasks include downloading an app or signing up for a website, but sometimes you’ll find data entry tasks. The small jobs won’t pay much, but if you have good time management and can complete several within a couple of hours, your compensation will add up quickly. Microworkers – As a Microworker, you’ll choose from a number of small micro-tasks and get compensated for your time. The website has several categories of tasks, with those interested in data entry focusing more on image categorization, ads monitoring, hotel research, image tagging, and more. 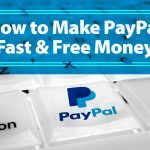 You can request a payout once you earn $9, which will be transferred to your PayPal account. OneSpace – OneSpace is a website for businesses to compile a digital work team. Companies will offer online tasks, data entry included, in the freelance work pool for freelancers to accept. Once your work is approved, you can get paid immediately. ShortTask – As a Solver with ShortTask, you’ll complete small tasks posted by Seekers. The tasks vary, but usually involve filling out short forms or quick web research. The website operates similarly to Amazon Mechanical Turk, but doesn’t offer as many jobs. SigTrack – SigTrack doesn’t always accept new data entry operators, but continue to check back, as it reopens its positions throughout the year. As a SigTrack freelancer, you’ll be responsible for digitally entering voter registrations and petition signatures. You’ll receive a percentage of the base value of your work, depending on how accurate you are. Pays via PayPal. Smart Locating – Smart Locating occasionally opens up positions for online data entry operators. You’ll be responsible for researching apartment complexes and entering their specifications to be included in apartment databases. TDEC – This company has occasional positions for data entry operators, ranging from entry level to high experienced. Data entry operators may complete tasks such as entering data from scanned files or entering data from surveys into an online database. The Smart Crowd – The Smart Crowd, formerly known as Virtual Bee, from Lionbridge is another small task website perfect for data entry work. You’ll be looking at things like numerical values, e-mail addresses, physical addresses, or dates, and adding them to a database. Most tasks pay per a certain number of keystrokes, such as 20 cents per 1,000 keystrokes. You’ll get paid monthly, and it seems that you need a Dwolla account for payment. Upwork – Upwork is possibly the fastest-growing freelance bidding website, with hundreds to thousands of new jobs posted daily. Search the Data Entry category for tasks that meet your interests. Upwork charges a fee per “milestone” completed, but the fee lowers the longer that you remain working with a specific client. Xerox – Xerox has been opening up several virtual positions in recent years, including data entry specialist positions. The company will occasionally have openings for data entry/verification, and you can check its Xerox@Home page for open positions. 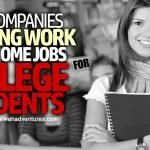 Legitimate Online Data Entry Jobs from Home Are Real! The above websites are proven to provide legitimate data entry jobs online. Therefore, these are the ones we highly recommend if you’re serious about making money with data entry. Unfortunately, data entry operators are some of the most targeted victims of online scams. Scammers see data entry as a way to appeal to those who really want to work from home, but may not have the skills needed for higher-paying jobs. If it looks too good to be true, it probably is. 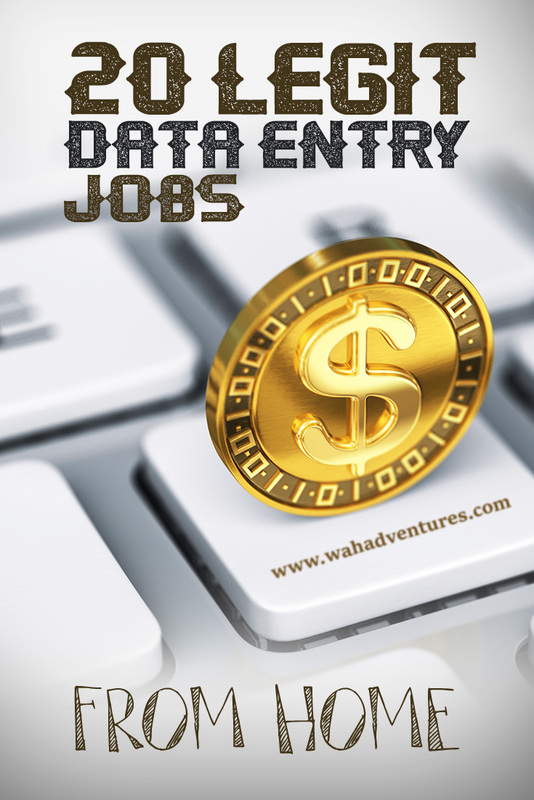 Most data entry jobs will not make you rich, nor give you a lot of money quickly. 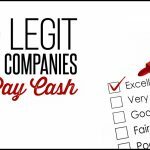 If a website promises a huge hourly rate, or a ridiculously high salary, it’s probably not legit. You shouldn’t have to purchase any additional equipment from a company to perform data entry work. If a special software is needed, the company should provide this for you. You shouldn’t need special training for any independent contractor data entry work. If you are getting hired on as an employee for a high-level data entry position, training may be necessary. But, don’t fall for scams that encourage “training” before you can begin simple data entry work. A legitimate website will never ask you for credit card information or payments before you can begin work. Research the company first. If you can’t find decent information with a quick Google search, it’s probably not legit. Legitimate companies should have professional websites, not ones that read like advertisements. If a website is filled with ads, or looks like an ad, that’s probably what it is, too. Best of luck in data entry success! This is a great list Amy. Thanks for putting this together and sharing a little bit of info for each company. You know I’m passing this one along! There’s a little blurb saying they’re the number one work at home opportunity, but Legit Online Jobs never really says who or which organization voted them number one. Take the time to have a laugh by reading the earnings disclaimer, it’s a hoot. It’s really not, but the language makes it clear that they don’t even have confidence in their own company that you’ll make any money with them. helpful article, the list of sites will be useful for all the online job seekers and accurate typists who are looking for data entry job, keep doing this great work, keep sharing with us.